A love affair that is sure to rock the British Monarchy… and the world. But a cruel turn of events rips their worlds apart and Adeline is more bound than ever by the protocol and expectations her title commands. The army of royal advisors who guard the secrets and scandals of the Monarchy will go to unthinkable lengths to keep the smoke and mirrors in place… and Josh away from Adeline. She knows the power she possesses comes with agonizing sacrifices. Walking away from Josh devastates her… but it keeps him safe from the corrupt institution that has ruled her life. My hands falter midway down my jodhpurs. “I do not have any feelings,” I grate, ignoring the unrelenting… feelings. The warmth, the disappearance of my woes, the heady sensations of want manifesting within me. Me. Him. The potent cocktail of chemistry we create, just being in each other’s presence. The woodland surrounding us is drenched in it. The atmosphere is thick. But… I fell so madly in love with a man, and now I am being forced to disregard that. Can I? Should I? At the end of book one, Adeline got the shock of her life and thought she had lost the love of her life. With her father and one brother gone, the other brother always in a drunken stupor, she isn't sure she can be the queen her country needs. None of her advisors think she is capable of being queen so they try to control her actions. And keeping Josh away from her is one way to control her. But Josh is what makes her strong and keeps her mind clear. Josh doesn't care that Adeline is queen, he just wants to be with the one he loves. But with the threats and advisors trying to keep them apart, he will do what he can to be with her. But when something happens that pushes her away, Josh must set things right before he faces her, so she will know that he is telling her the truth. What Adeline has to figure out is who is trying to keep them apart and why? Can she accept that she and Josh may never be together? Will Josh let the monarchy destroy his life just to be with Adeline? Will love or duty win in the end? I loved everything about the first book but this one was a perfect mix of love, duty, deception, suspense, and a totally awesome ending. 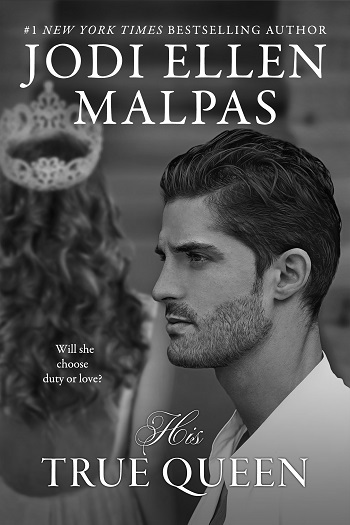 Jodi Ellen Malpas has outdone herself again. So if you are looking for a great story, then you need to read this duo, and I hope you love it too. 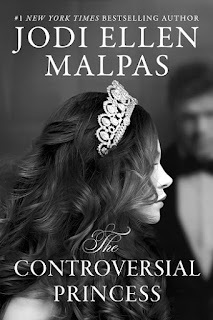 For reviews & more info, check out our stop on The Controversial Princess Blog Tour. Reviewers on the Wicked Reads Review Team were provided a free copy of His True Queen (Smoke & Mirrors #2) by Jodi Ellen Malpas to read and review for this tour.